The all-new 2018 Mercedes G-Class has been spied again. Wider track, electric steering, independent suspension and new engines: Daimler modernizes the G-Wagon from the ground up. 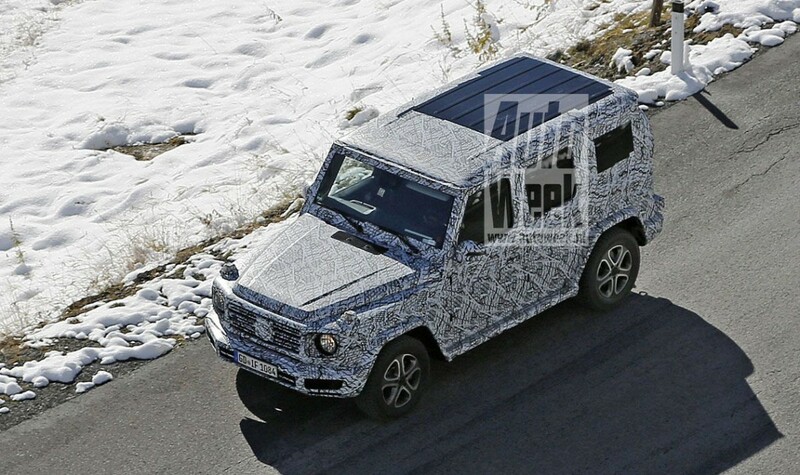 For the second time spy photographers were able to catch the prototype 2018 Mercedes-Benz G-Class. At first it seems we are looking at the current G-Class, though the model is significantly wider than the version currently available in the showrooms. 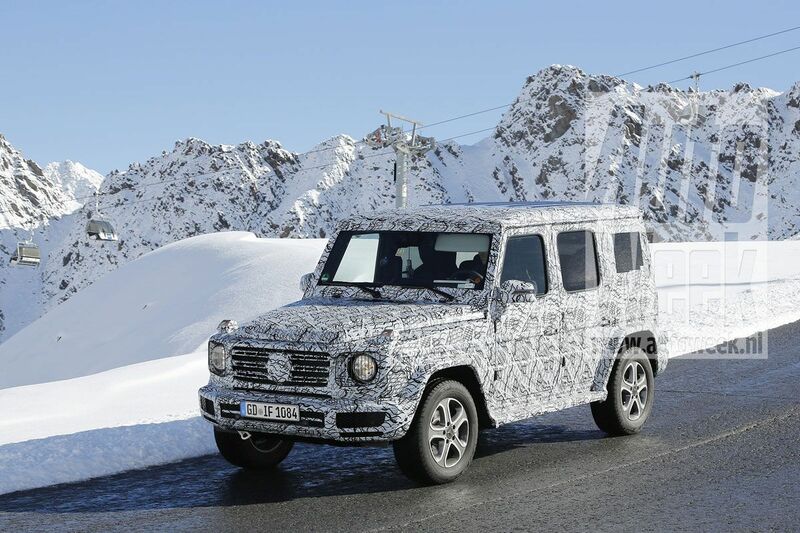 Indeed, it is quite possible that a widened, current G-class is used to test with the technique of its successor. 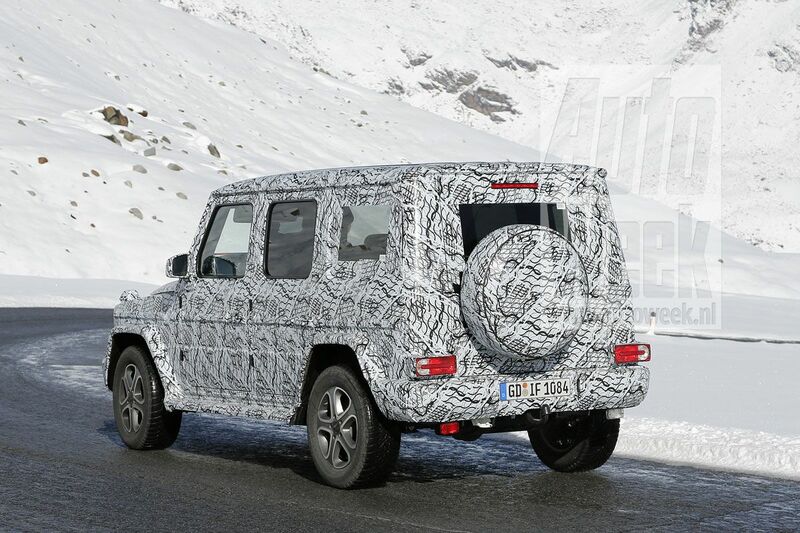 We expect the final new G-Class to feature a more forward thinking design, influenced by the Ener-G-Force Concept. The new, widened platform will provide an increased interior space. That of course does not stop there. The new G-class will be placed on a completely new and modern platform, something that will provide a weight reduction of several hundred kilos. Additionally undoubtedly the all-rounder benefits from the new six-cylinder engines that Mercedes has recently revealed to the world. Top power should go up to 313 hp for the diesel version. For more space in the cockpit, the new G-Class will gain extra width: up to ten centimeters more will take the width to 1.97 meters. In addition to the wider track, the future G-Wagon gets an electromechanical steering and independent suspension. Mercedes wants to finally elevate the ride comfort to a contemporary level. In terms of assistance systems, the new G-Class also enters the new millennium with autonomous driving functions inherited from the E-Class. A price increase is also expected, as the G-Class will move further upmarket into the luxury class.